Capcom really has been trying to do a make good with its long term fans even if that make good is them just re-releasing all their old games. 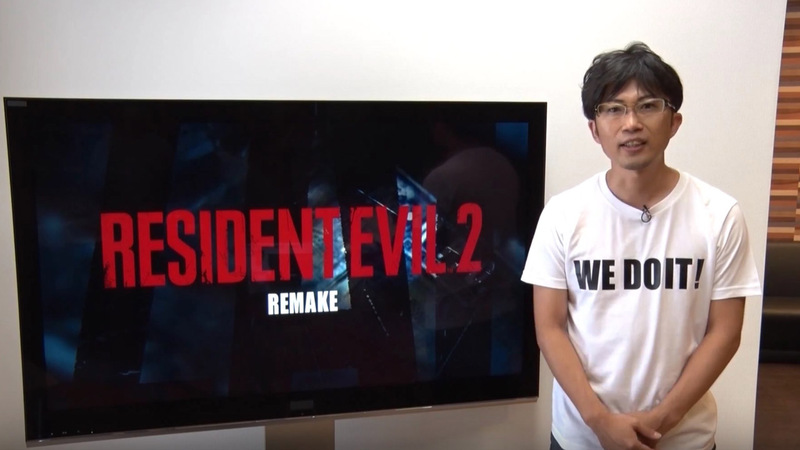 With the recently released Devil May Cry 4 HD Remaster, Mega Man Legacy collection, and heck there is even talk the Onimusha series might make a comeback (yes please), Capcom has now pulled a Final Fantasy 7 announcement and revealed that it’s remaking Resident Evil 2. Arguably one of my favourite games of all time, this is the title that got me hooked to the series back on the original Playstation. I’m certainly excited for the project and this article covers what I’d like to see from the release. Keep in mind a lot of this “wish list” is completely barmy and probably won’t happen but hey one can dream. I think there’s one thing we can learn from remake development is that you really need to keep the formula simple if you want to succeed. Exhibit A: Resident Evil (the GameCube remake or that all singing all dancing HD remaster whichever you prefer). This game is a fantastic example of how to do a remake well. They took what worked from the original game and built on it. It was not only a great experience to play through both for people new to the series, but it also just slightly tweaked the game to make it seem like a completely new experience for long time fans. Puzzles were altered, new rooms were added, and some of those surprises from the original game were changed only to surprise you in a different way later in the game (e.g. the dogs through the window). Exhibit B: Final Fantasy 7 remake. Now I’m being a little unfair on this game since it has yet to be released so I’m using it as an example from what we have seen so far. As opposed to making a game based off the original (keep in mind the original was a JRPG across 3 CDs), SquareEnix is making a brand new Final Fantasy 7 from scratch. So far we have found out the game has a new battle system, its going to be episodic, and its going to have much improved graphics. Just those three alone sounds like a recipe for disaster for a remake. Not going too heavily into it – since I might revisit this in a later article – but Final Fantasy very much seems to be setting itself up to fail as it tries to make a new game from scratch with the up-to-date hardware. We don’t need a massive game with amazing graphics. In fac,t this is an opportunity for the development team to really seriously consider putting their last gen development hats on. Think small, think limitations; these are the things that work with a game like Resident Evil. Sure throw 1080p HD Uber Ultra 60fps in there if you want, the PC gamers will love it on their £4000 rigs, but at the end of the day we want a good game. Think less about blowing us away with polygons and more about what works. Replay Resident Evil REmake a few times and you might get the idea. I feel like I have to shout when I say this to Capcom these days. Not sure what happened along the road, but Capcom seemed to translate that monsters that are glorified meat shields along with crazy cinematic set pieces must mean scary. The best example of how a developer really buggered this up was with Resident Evil: Operation Raccoon City. Sure, Slant Six developed it but Capcom sure as hell asked for it to draw in the Call of Duty crowd. It’s worth pointing out I don’t think this game is terrible; it’s actually a fun time if you can share the experience with other people. It’s a terrible horror game and fits in more as a step brother no ones likes to the Gears of War crowd. Operation Racoon City is not scary, there are undead everywhere alone or with various other monsters, and there’s no down time. The most effective tool of horror is the sense of isolation. In the original Resident Evil games you felt terrified by your own footsteps. A lot of the game is you quite literally walking through empty corridors but its the sheer tension it creates, what’s round the next corner? Supplies? Or enemies? The opening to Resident Evil 2 is also a work of art. You are dumped into a situation surrounded by the undead and you don’t have enough bullets to take them all down, so you have to evade. There isn’t tons of enemies but just the right amount to avoid and get to the police station. It’s a great example of how install genuine fear into the player but once you get to the safe zone, it gives you that important downtime you need. Throwing monsters at you constantly just is not scary, let me breathe now and then Capcom let me put stuff in my Doctor Who item box. This one is actually a criticism of the series in general: the plot needs some work. Sure, I dig the cheese ball acting in the Playstation games, but I seem to be in the minority there. When you remake a game you have an opportunity to adjust things like plot. There’s a really unique opportunity in Resident Evil 2 to spend a little more time connecting with the character of William Birkin. Birkin is the scientist in the game that is betrayed by the company Umbrella and injects himself with the G-Virus. As the game progresses you gradually see Birkin deteriorate and become more monstrous until he eventually looses all his humanity. 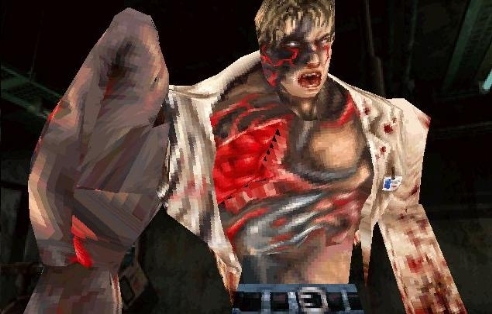 I thought it was very disappointing that future titles which feature the character, like Operation Raccoon City and Resident Evil 0, that Capcom portrays Birkin as more of a cartoon villain. The guy has a wife and daughter so it seems hard to believe he is completely obsessed and evil with his work. There’s room for an emotionally tragic tale here of a man overcome with obsession that he looses all humanity. So if they do remake the game why not make Birkin human? Maybe make us feel for the guy more. I’m not saying the game needs to have excessive amounts of cutscenes; work to the strengths of the original throw more diary entries round the game for us to read and learn more about the characters. This is an effective and optional method of storytelling for gamers. People may argue “it’s a video game not a movie,” but we’re starting to see how powerful storytelling is in games now. Games have come a very long way in terms of telling a story since the original Resident Evil game. Developers are now using decent actors and even bringing in professional writers to handle to story of the game. I’m not saying the game needs to go that far but it sure as hell would be a surprise to us all if Resident Evil 2 Remake was the game we said had the best story in the series. Capcom you might want to sit down for this one. If you want this game to succeed I highly suggest you release this title complete with no stupid additional DLC to come later. If you’re aching to charge us for something then go ahead and add some additional costume rubbish. We know how you love putting alternate costumes in your games, that’s fine. I also don’t want to see any episodic stupidity like Revelations 2. We don’t need Resident Evil games made then chopped up into chapters and sold to us separately like some some TV series, we know you just look at other game companies like Tell Tale Games and Activision and want the success they have. How did marketing to the Call of Duty crowd go by the way? Did the mass market like Operation Raccoon City or Resident Evil 6? Like the shy girl I used to fancy at secondary school, the best advise I can give is “be yourself, you are much more attractive that way.” Make Resident Evil 2 its own game, no gimmicks, charge full retail price, but if you really want to impress us discount the digital version. You will see plenty of money come your way again like the original Resident Evil 2 release. Resident Evil 2 originally came out for the Playstation but we later saw the game be ported to the PC, N64, Dreamcast, and GameCube. I would love it if we could play through the original versions in one compilation. This sort of thing really hasn’t been explored enough with game collections. Sega occasionally shoves various versions of Altered Beast on its various game collections released every few years and I love it. This point is incredibly unlikely but it would be amazing to have the original packed in even if it was just one of these versions. While we’re here it might be an idea to consider throwing in Resident Evil 3 as well. After all, this game is set around the events of Resident Evil 2 and is a significantly smaller game. To put that in prospective Resident Evil 2 has four scenarios (five if you include the Hunk mission) whereas Resident Evil 3 is just a single campaign. Why not just throw it in? Yes I know ports take work but we would be your best buddy Capcom. Well that’s my thoughts on how to turn Resident Evil 2 into a multi million pound success story that will knock best selling films, books and music off the charts. Capcom really does have this in the bag if they let it. The power is in your hands Capcom, don’t screw this up! The opinions expressed here are that of the writer, Jamalais, and don’t necessarily reflect the opinions of Gaming History 101 or its other contributors. What do you think? Let us know in the comments below. Not sure if you’ve studied up much on the different versions, but I recently have because of a long-winded RE2 episode of “Version” that may be done by the end of the decade. The PS1 version is the template for basically everything released, especially from a content perspective. Technically it was the base game used to develop the N64 and GameCube versions whereas the PC port had completely re-rendered textures, backgrounds, and resolution (640×480 instead of 320×240), but the content remains the same. The Dreamcast version is a direct port of the PC version and is essentially identical. 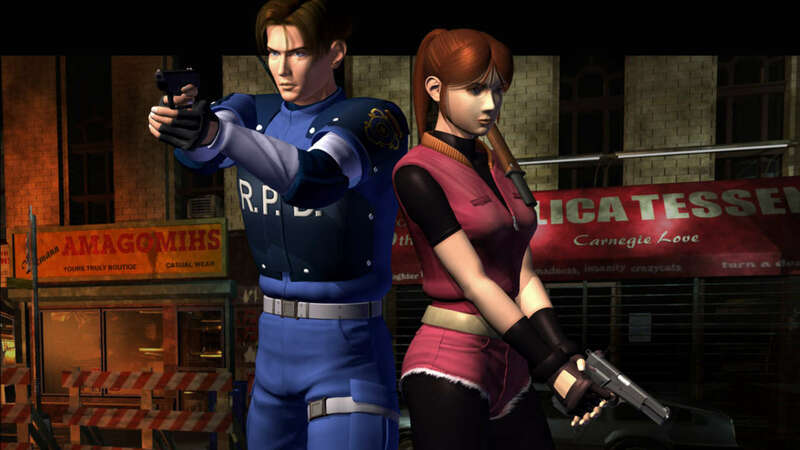 Many will cite the 16 extra notes found in the N64 version that links RE2 to RE3, Code Veronica, and RE0 as the biggest content difference. What I would love to see is the Biohazard 2 SourceNet 2006 release come to the US. If you’re not aware of this version, it’s a modern upscale for XP PCs that released in Japan only and does some things Jam is asking for. It upscales everything to 480p, has uncompressed cutscenes, and unlocks everything like 4th Survivor (Hunk/Tofu) right at the beginning. If they could find a way to get this thing to scale up to 1080p (just quadrupling the pixels or something, nothing fancy) and port the localization (fans have already done this anyway) it would be an ideal version to get on the disc/download. For those ready to head out and grab Biohazard 2 SourceNet 2006 and run it on your PC, let me warn you that it needs multiple patches, a special installer, an .exe modification, and two English patches to get it to run. Even if you do succeed, it only seems to run correctly in a windowed screen and still has some jank that requires Hex Editors to fix. Also almost everywhere you would get the English patches there’s a brutal malware hidden alongside the safe download and if you’re not importing the actual DVD disc, the ISO sites will also load you with unwanted adware/spyware/malware/viruses as well. It’s a nice version if you’re speedrunning as fast as you can – which is why the speedrunning community loves it – but it’s not a whole lot different in quality than the Dreamcast version on a VGA box.